Spaghetti straps and a perfect sweetheart neckline are where Style BL253, Tilly starts, and she ends with a cathedral length train. 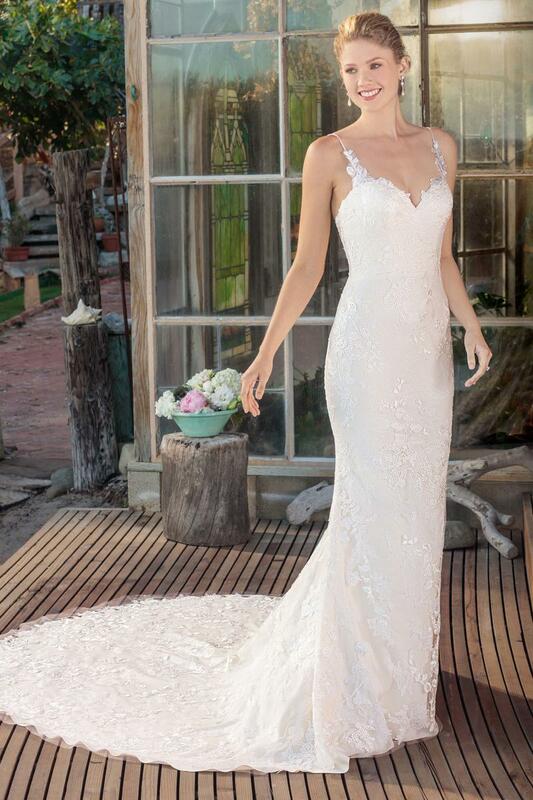 In between, we are graced with a unique lace, illusion back, and a fit and flare silhouette. The result is a stunning gown that can be elegantly classed up, or casually styled down for an adaptable wedding look.